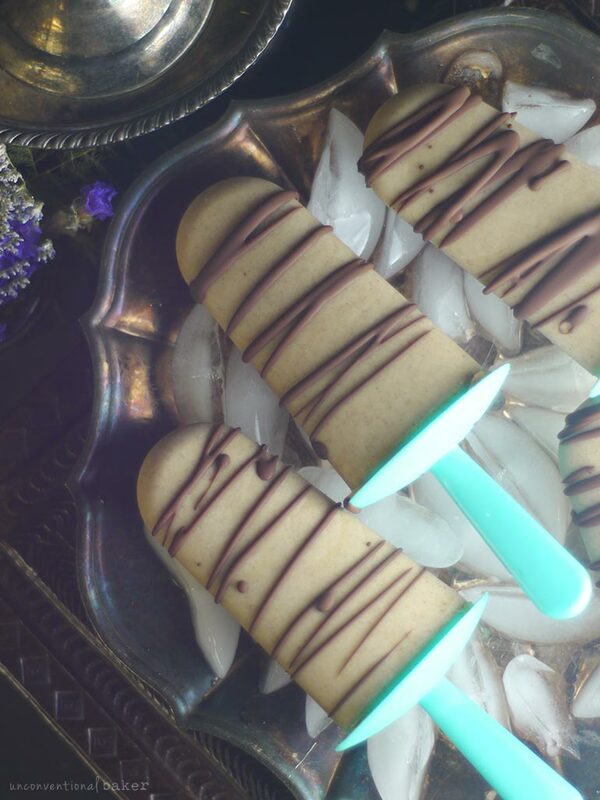 Um, these ice cream pops need to happen in your kitchen as quickly as possible is my conclusion! I know it’s a really simple dessert, not a flashy / fancy cake… but I kid you not, I had no idea pecan butter would make these mini treats so satisfying. 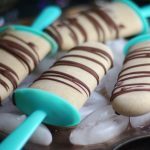 My intention was to make popsicles, but they really turned out as ice cream pops because the pecan butter (in combination with the other good things happening in the pops) made for the most unexpected velvety smooth and creamy ice-cream like consistency. They turned out so delicious I couldn’t keep them off the blog. Plus, we’re talking pecans, ice cream, and chocolate, which means whatever way you string these things together, it’s bound to be delicious. 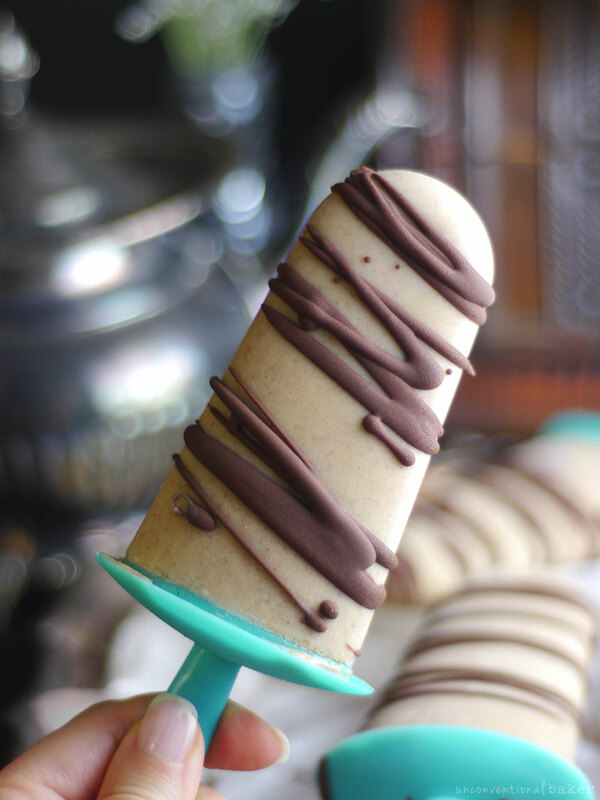 These vegan ice cream pops are naturally creamy, smooth, and packed with flavor thanks to the combination of delicious pecan butter and chocolate. 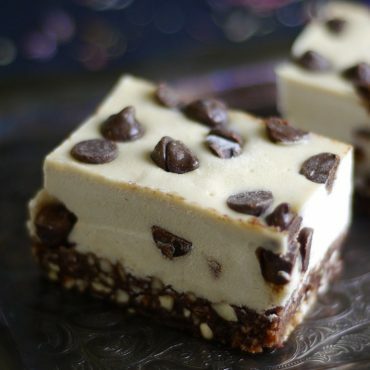 This recipe is free from: dairy, gluten & grains, refined sugar, added oils, and coconut. Blend all pops ingredients together until completely smooth in a power blender. Divide the mixture between 6 large popsicle molds (or however many you can fill, depending on your mold size). Freeze overnight or for at least 5-6 hours. 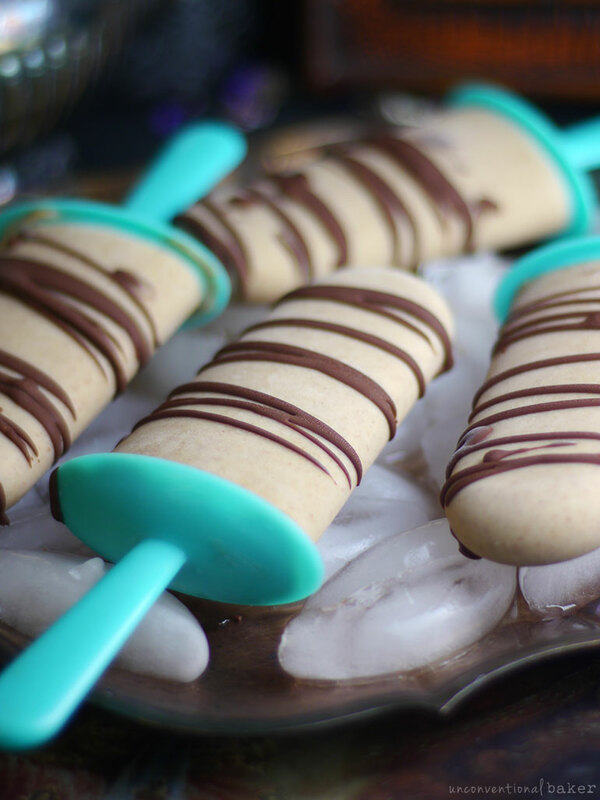 Un-mold, drizzle with melted chocolate and let set for a minute or two, then enjoy! Keep leftovers frozen. Do you know why your blog no longer shows up on Bloglovin’? I use to keep track of new posts on food blogs and yours seems to have disappeared off my feed and off the website in general! Hi Stephanie. I had never set up my recipes to show up on Bloglovin’ — it was something that website has picked up on its own based on following my RSS feed. 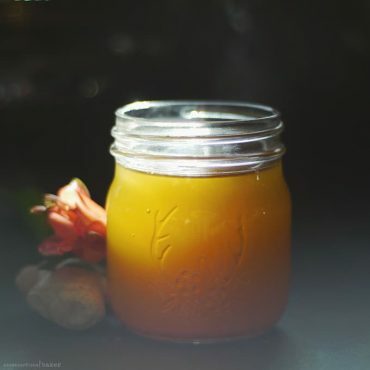 A few months ago I was alerted to the fact they had re-posted one of my recipes in full as well as photos onto their blog without my consent. It’s never pleasant when that happens, but it was double unpleasant in this case as a newspaper featured the cake and gave the recipe credit to Bloglovin’ instead of directing people to the original recipe posted on here. I contacted Bloglovin’ after seeing that and asked them to remove the recipe from their website and also any content from my blog (which they did straight away), and I’m guessing perhaps this is the result of that request.